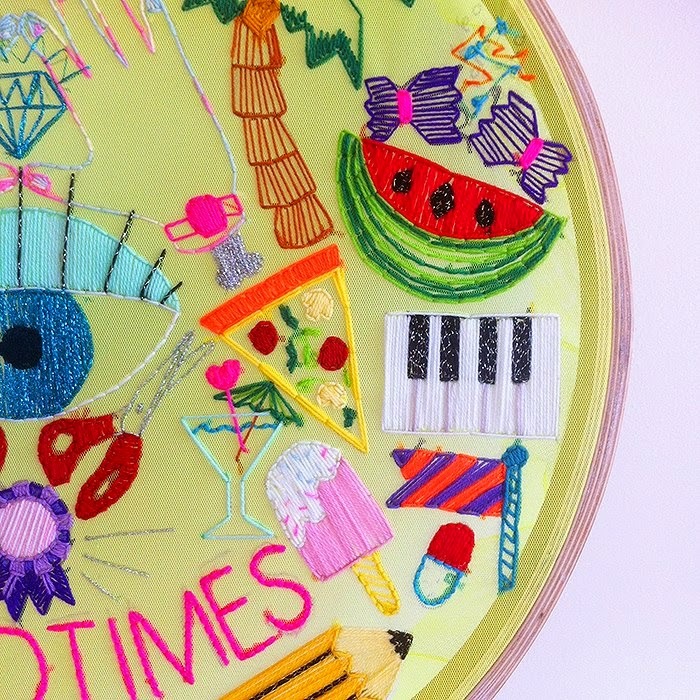 It is all about escaping the traditional thoughts behind embroidery and seeing the threads in a different way through the work of some very different artists on large scale hoops.. sounds amazing right?! So get down there and have a look around, it opens tonight, Wednesday 22nd October and runs until the 15th of November. So if you are looking for something fun tonight then I suggest taking a wander down Oxford street... 6pm - 9pm, 70 Oxford st.